7 reasons you need to visit the Borough Market. 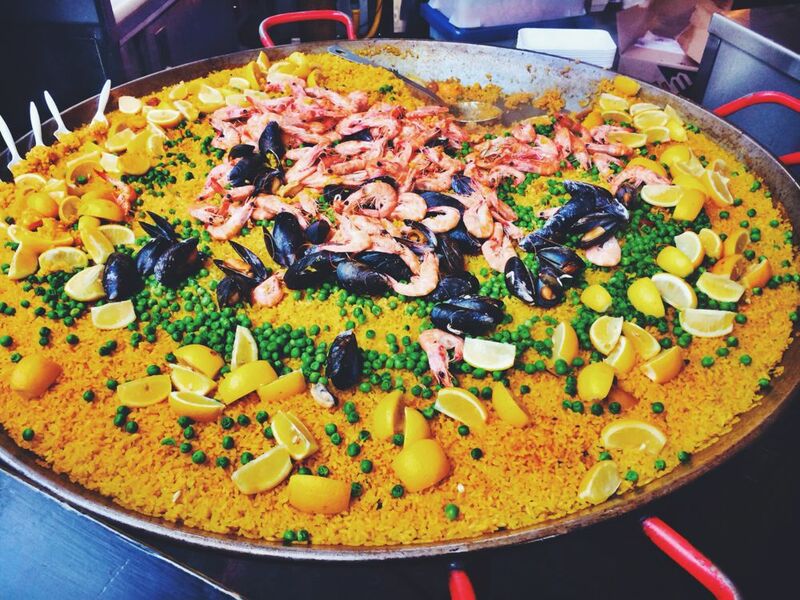 Introducing foodie heaven in London… the Borough Market! It is one of the largest and oldest wholesale and retail food markets in the London, in other words it’s been there for 1000 years! Doesn’t matter if you are not a huge foodie, you will find something in this Holy Grail that you will come home raving about. The best darn cheese toastie ever! It’s home to London’s best toasted cheese sandwich. Kappacasein, takes cheese toasties to a whole new level! 3 types of melted cheese combined with onions, leek and crushed garlic in between two slices of sourdough bread will take you to the best cheese toastie coma ever and do not under estimate how filling one cheesy goodness can be. She’s also home to the best doughnutty goodness! Bread Ahead stall is where you’ll find the classic vanilla custard doughnuts. Oh man, this will get your sweet tooth going! Or honeycomb doughnuts, or jam… or blueberry. How about just get one of everything! Did we mention how much the Borough Markets love their cheese? You’ll find countless stalls selling big rounds of cheese including the smelliest of all cheeses… Yep, you know it… It’s the English Blue Stilton. You won’t forget that smell ever, but hey, it’s an experience! Because everywhere in London is pretty much a scene from movie and the Borough Markets is home to the one and only Bridget Jones! Finding decent coffee in London is hard… But one of the best and most renowned coffee places in London is Monmouth Coffee Company. The line can be enormous, but if you are someone who needs a coffee stat. It’ll be worth it! So you can tell your friends you’re stopping for some Hot Salt Beef at Nana Fanny’s and wait for the comments… But seriously, it’s got to be good if she’s been hanging around since 1944. Or if we have literally got your craving cheesy delights, doughnuts and so much more. Check out our amazing UK deals – it’s never been a cheaper time to fly.